Is clutter making your desk a security risk? It doesn’t take long for clutter to take over your workspace. 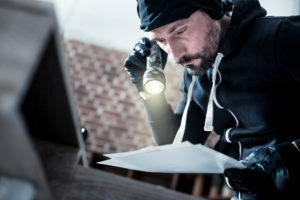 With the increasing threat of identity theft and corporate espionage those loose, unfiled documents are not just unsightly — they are a very real security hazard. Busting office clutter lets you take back control of your office. So discarded documents don’t fall into the wrong hands they must be securely destroyed. That’s where Australian Document Shredding Service can help! We offer a drop-off service at our Kogarah facility, or the convenience and peace of mind of 240-litre lockable Security Bins (minimum order of one). You can keep bins for up to four weeks, either as a one-off order or as part of a regular scheduled service. Bins are delivered to and picked up from your premises. Follow these additional tips to make your clutter-busting quick, easy and secure. Examine everything. You don’t want to throw out something important, or keep something that isn’t. If there’s no good reason to keep it, out it goes! Digitise as much as possible. Digitised documents don’t take up any physical space at all. Store them on a cloud service like Google Drive for easy access. Use a logical filing system so you can quickly find files when you need them. Whether you choose to drop off your documents or use our Security Bin service, all documents are comprehensively cross-shredded into tiny fragments, then transferred to a recycling facility for final, total destruction. At the end of the process you receive a Certificate of Destruction, your guarantee that all data has been completely destroyed. Phone us today on 1800 001 008 to find out how easy and cost-effective secure document destruction can be.